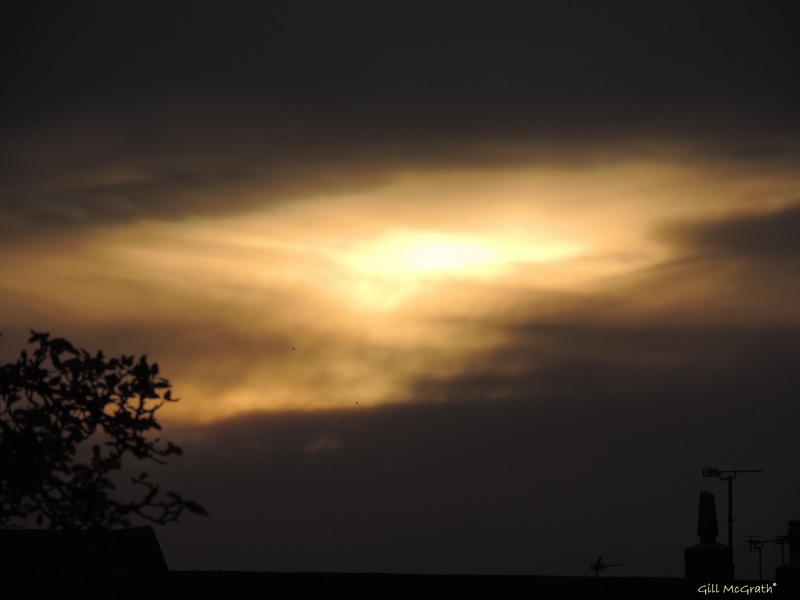 Evening: Its thick cloud and this is the only sliver of light in the sky, down the street. If you press the picture you might find three birds (two fly on the orange, one sits on a chimney). One shot no hanging about. 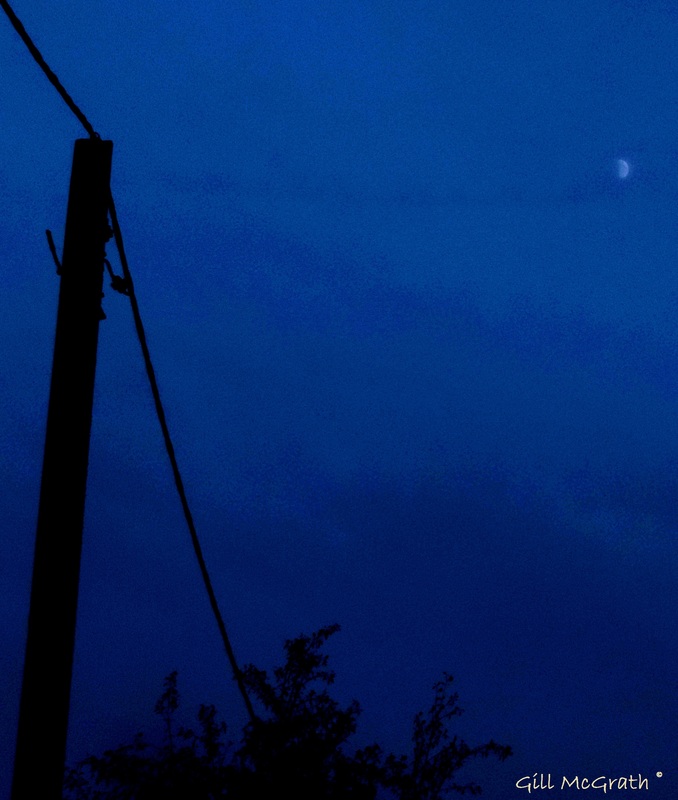 And just as I thought the cloud was too thick to see the moon just yet….at 9.24 pm I just noticed it high up but right outside the living room window (at the back of the house). Hi moon! Nice one! Night night! Previous postQ: What moved faster than light today?